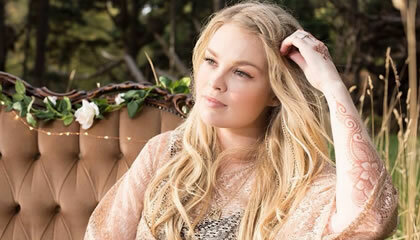 Hint of Henna is a Mornington Peninsula based small business, offering freehand, natural henna body art and real feather hair extensions. Artist Telisa Cooper, works her magic at multiple markets around the Peninsula, Westernport and Port Phillip areas, as well as offering private bookings during the week at her home studio and group bookings/functions. Hint of Henna combines traditional Indian Henna with western styling, creating a range of free-hand designs for a beautiful bohemian look. 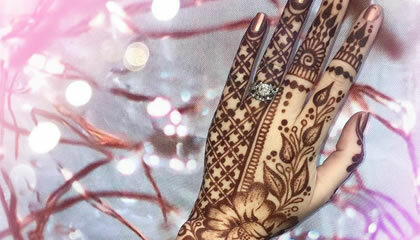 All henna is homemade from natural ingredients resulting in a rich, brown stain. Henna can be used as a decorative body piece, for a test run for your tattoo idea or for just a bit of fun! Feather hair extensions are all natural feathers that we have sterilised and hand dyed with love. We offer a wide range of striking colours, patterns, thicknesses and lengths, as well as stunning prearranged feather bundles and Hint of Henna Original 'Ombre' Feathers. Whether you are after just a subtle (hint of) Feathers or want to go feather crazy, we have you covered! 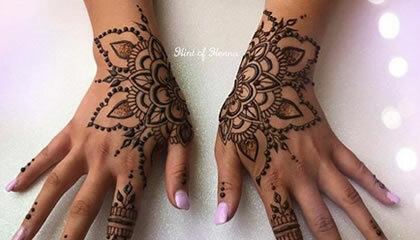 For regular market updates, new henna designs, feather colours etc, please add us on Facebook - www.facebook.com/hintofhenna - and Instagram-hintofhenna - for the lastest news!